AsianCAA members and network organisations will be attending the 2019 World of Coal Ash Conference and Exhibition in St. Louis, Missouri, May 13-16. WOCA is organized by or friends at the American Coal Ash Association (ACAA) and the University of Kentucky’s Center for Applied Energy Research (CAER). The 2019 conference is the 8th joint biennial meeting with a focus on the science, applications and sustainability of worldwide coal combustion products (CCP’s) as well as gasification products. The University of Kentucky Center for Applied Energy (CAER) explores technologies to improve the environment from energy efficiency. Researchers add to technically sound strategies related to fossil and renewable energy. · Renewable energy such as biofuels and bioenergy, electrochemistry, solar energy and environmental remediation. The CAER is proudly supported by UK, and is staffed by professional scientists and engineers. The Center has extensive interactions with faculty members and students, and provides analytical services for external commercial and academic organizations. In order to extend access to industry leaders in Asia, anyone who registers through AsianCAA will save $200 on early bird registration (ends May 1st, 2019). Sustainability is simply the ability to meet the demands of today without negatively impacting the future. This goal is not easily met, especially in the construction industry. With demands for building materials on the rise in places like Malaysia and Vietnam, companies scramble to provide quality building materials such as concrete, cement, ceramic, etc, while still adhering to ever tightening restrictions on emission and waste disposal. 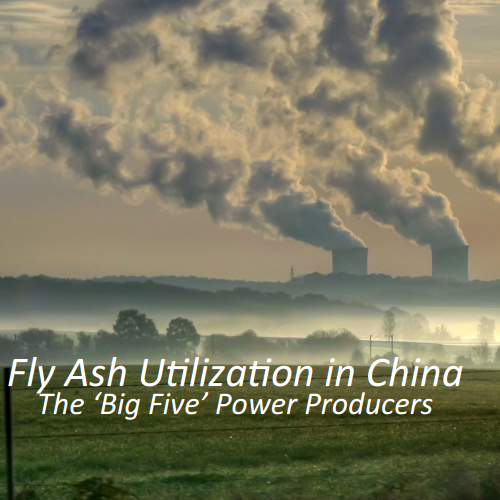 Switching unfriendly environmental practices to a more efficient infrastructure of Building materials manufacturers providing suitable coal ash byproducts from local power station waste is not yet common practice. As legislative reform takes its time, researchers are attacking the problem of reusing industrial waste from all angles. CSA (Calcium Sulfoaluminate) cement is another approach at reducing energy to produce environmentally friendlier cement. Calcium Sulfoaluminate requires lower heating temperatures to produce. CSA is composed of a mixture of bauxite, limestone and gypsum and burning these at lower temperatures emits representatively lower amounts of carbon dioxide into the atmosphere. Also, the amount of limestone needed is much less. Limestone is said to be one of the key emitters of carbon dioxide in the sintering process. Using less materials and less energy is not only better for the environment, but more appealing to building materials manufacturers. Dr. Tom Robl, Associate Director, Environmental & Coal Technologies at University of Kentucky’s Center for Applied Energy Research will be presenting the latest research and discussing CSA cement at the upcoming Coal Ash Asia. To join Tom at this year’s event please register by Clicking Here!